Update! 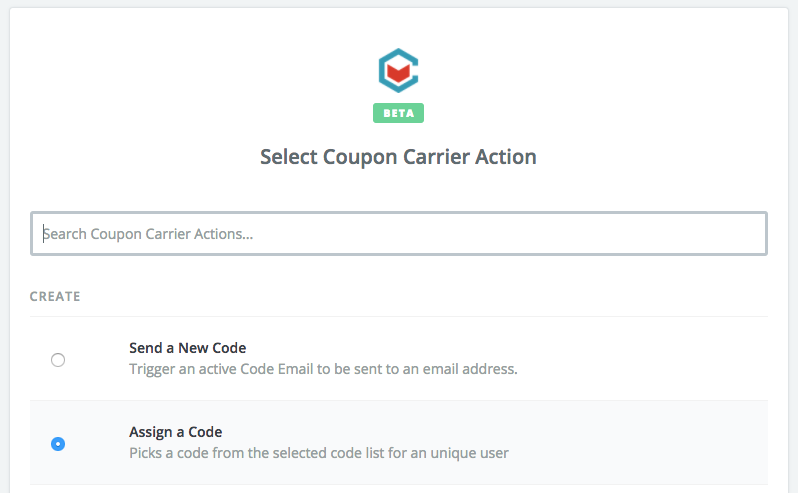 There's now an even simpler way of distributing codes to your ManyChat subscribers using Coupon Carrier. See how in the new ManyChat article. ManyChat is a great and super easy tool to create a bot for your Facebook page. 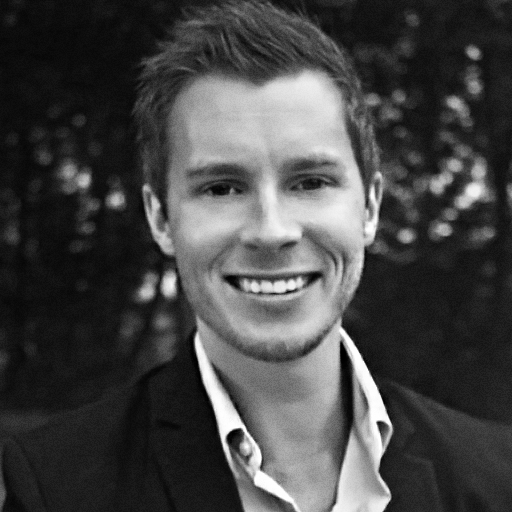 These bots can answer questions and collect information from leads and customers. 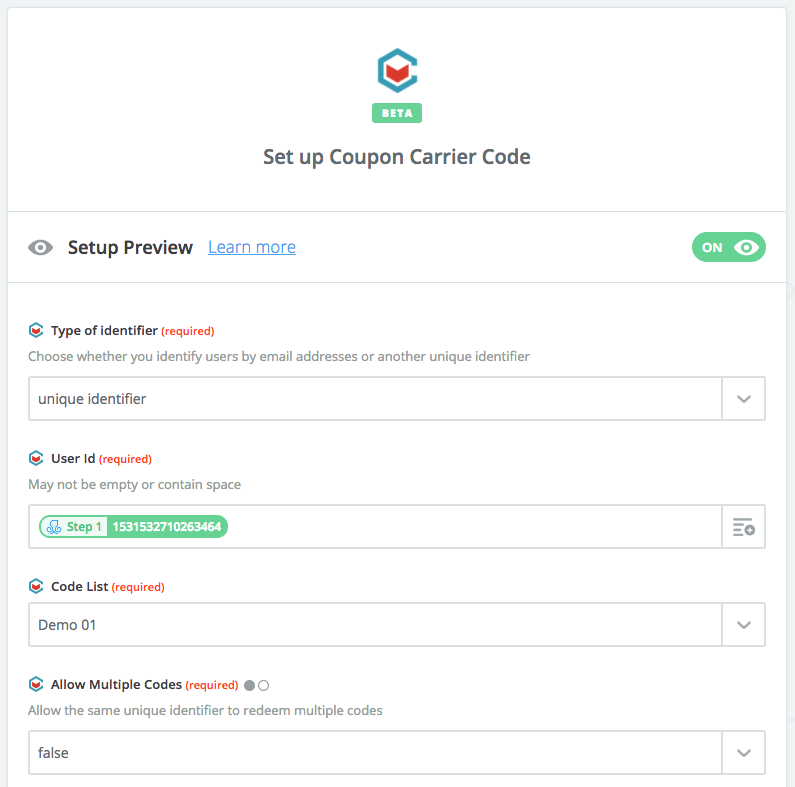 In this guide, you'll learn how to send out unique codes to your subscribers using Coupon Carrier and Zapier. 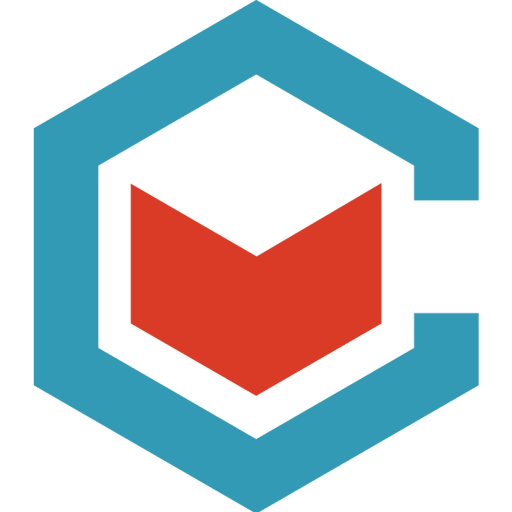 Coupon Carrier is a service for distributing unique codes, mainly over emails, but we also support sharing codes via links and Zapier. Being able to give the ManyChat subscriber a unique code as a thank or incentive for starting a conversation is something that we've received a lot of requests for. So we've now added support for fetching unique codes from your Coupon Carrier code lists by supplying a unique user id. 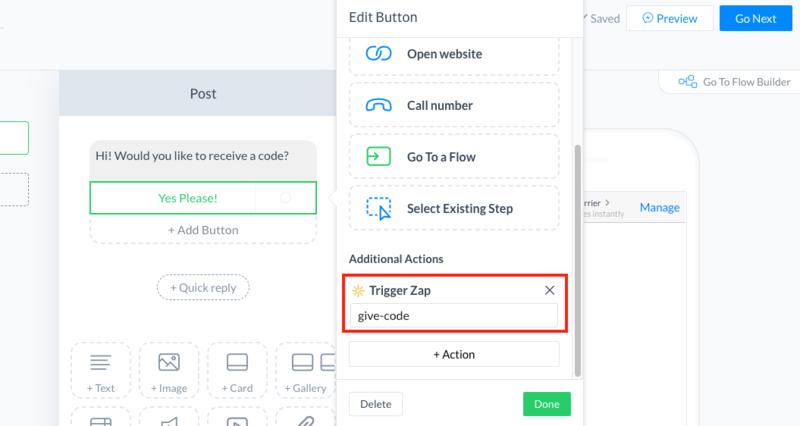 ManyChat integrates with Zapier, and you can trigger a Zap action in buttons or events from your ManyChat messages or automations at different places. This requires a ManyChat Pro account. In this example, we're going to create a broadcast post that asks the subscriber if they'd like to receive a code. If they click the button "Yes Please!" we trigger a Zap action that will pick a unique code from Coupon Carrier and then send that to the subscriber. If you haven't already, create a Coupon Carrier account. After signing in for the first time, we create a sample code list for you containing a few unique codes. If you want to, you can import your own set of codes at this stage or use the sample codes for now. Here's a guide on how to import your codes. Login to your Zapier account and go to the Connected Accounts tab. Here you can search and connect to different services. Let's add ManyChat and Coupon Carrier. Make sure that you've connected both your ManyChat (pro) and Coupon Carrier account to Zapier before proceeding. Let's create a new broadcast in ManyChat that we'll use as an example. Log in to your ManyChat account and go to Broadcasting in the menu bar. Click New Broadcast. Add some text to the first message to ask the subscriber if they'd like to receive a code from us. Then we add a button with the text "Yes, Please!". On this button, you can choose to add an action when it's clicked. We want to trigger a Zapier event when the subscribers click this button. So let's add an event give-code and choose to create the new event if it doesn't exist. You can now do a quick preview to make sure that the message works. The preview will be sent to the messenger user used for your ManyChat account. We've now created the content, and we can now proceed to Zapier.com and create our Zap. 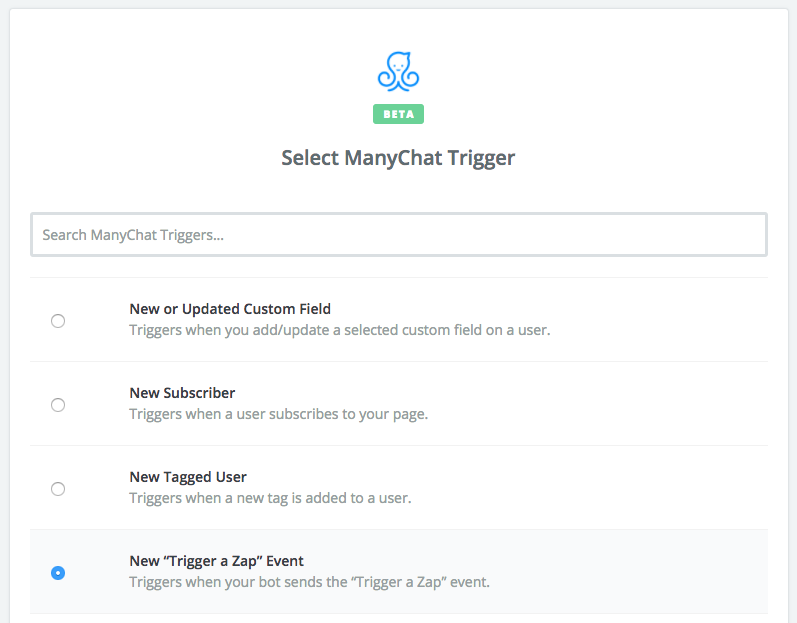 Select ManyChat as the trigger app and then choose New "Trigger a Zap" Event. You might have to click on "show less common options" to reveal this trigger. Proceed and choose the ManyChat account that we connected earlier. We should now choose which ManyChat event we'd like to listen to. Choose the event, give-code, we added to the button in our broadcast. Continue and add a new action and choose Coupon Carrier in the list of apps. Choose Assign a Code from the list of triggers. Again you might need to click "show less common options" to see all the triggers. Choose the Coupon Carrier account you connected earlier and continue. In the Coupon Carrier action setup, we need to tell Coupon Carrier how it should identify a subscriber. You can either give it an email address or a unique identifier. In this case, we don't have an email address, but we do have a User ID that we can get from the earlier ManyChat trigger event. Select "unique identifier" as the type and then choose to use to use the User Id from the New "Trigger a Zap" Event. Next, we choose which Code List we'd like to pick our unique codes from. If you haven't added your list, you can choose the sample list that all new accounts receive for testing purposes. Proceed and add a final action step. In this step, we want to take the code we received from Coupon Carrier and send it to the subscriber that triggered this event in ManyChat. Choose ManyChat as the action app. Choose Send Text Message to User. In the User field, select to use a custom value and then choose the User ID from the first event New "Trigger a Zap" Event. In the Message text field we choose the code from the Coupon Carrier Assign a Code step. You can also add other text to this value if you want to. We're now ready to test this so proceed to test this step, and that should send a message to your messenger user. After that, you can activate your Zap and head over to ManyChat and preview your broadcast again to see the full sequence. This is one way of using Zapier and Coupon Carrier together with ManyChat. There is an endless amount of things you can do with this. If you have an e-commerce store like Shopify or WooCommerce, then Coupon Carrier can generate new codes automatically for you. This gives you the possibility to send out freshly created discount codes, with an expiry date, to ManyChat subscribers. Check out the Coupon Carrier website for more information on our service.